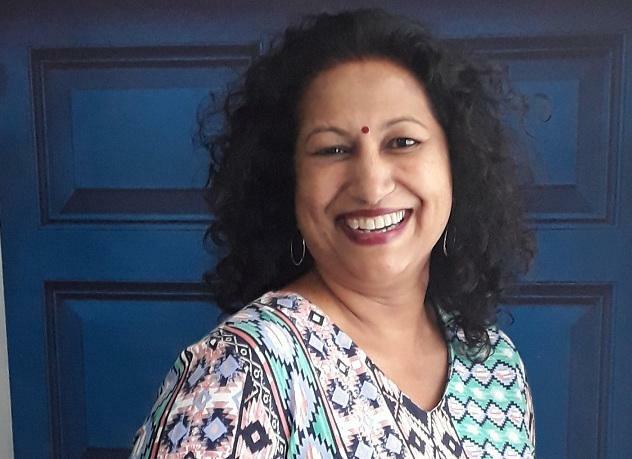 THERE was once a time when Pranitha Ramlal of Estcourt was a credit controller at a clothing retail outlet for 12 years, but today it's in the world of property that she is making her biggest and most rewarding strides. An important component of the DPPG Estcourt branch, where Roy Emanuel is the principal, Pranitha has been winning awards with the group since 2014, and this year was named National Rental Management Agent of the Year, an award she also took last year. At the recent Dormehl Phalane Property Group (DPPG) awards ceremony in Port Edward she was also named Overall National Rental Agent of the Year, another award she also took last year. In addition, Pranitha was named as one of the top 10 agents of the year in the fast-growing property group. These were among 10 awards collected this year by DPPG's Estcourt branch, whose accolades included being placed second in the categories of National Rental Management Office of the Year and Overall National Rental Office of the Year. Pranitha, who was not able to attend this year's DPPG awards, says she is most proud of having taken the award for Overall National Rental Agent of the Year. "Being a rental agent is not only about getting properties occupied with tenants. It also means maintaining happy tenants, keeping a happy landlord, following up on arrears, renewing leases and negotiating new rental amounts in an economy where the escalation is not very viable," she says. Pranitha has been with the Estcourt branch, at 107 Lorne Street, for 16 years, having been there when it was known as Homenet Emanuel. She describes herself as the manager, book-keeper and an intern agent. "I handle all computer-related duties, file SARS returns, as well as manage trust accounts and business accounts. I also handle corporate payments, secure new tenants and renew leases for existing tenants, and control the income and payments of all rental properties. "I also type lease agreements and handle general correspondence, ensure all property repairs are seen to timeously, and do inspections on properties." Pranitha joined Homenet Emanuel in October 2002 when the clothing company she had worked for went into liquidation. She says she has never looked back. "Under the DPPG brand we are a BEE-compliant estate agency, education is provided frequently, and there is much innovation. We are always ready to try new alternatives and are open to change because of the emerging property markets. Other strengths are creativity in sales and strong, long-lasting relationships with clients." Pranitha takes pride in having chalked up many years of knowledge and experience, and having built long-lasting relationships with clients. She also applauds team work at her office, and rates herself as a dedicated, hard worker who always strives to do her best. The Estcourt branch has one full-status agent and one other intern agent, explains Pranitha, pointing out that they deal with more than 200 rental properties. "We have a very good reputation as an estate agency for sales, rentals and managing agents. I personally deal with rentals only," she adds. The branch serves the towns of Estcourt, Weenen, Colenso, Winterton, Mooi River and surroundings. "All are small country towns which are a great advantage to raise families for security, affordability and no overcrowding." Pranitha has been married for 25 years to technician Jack. Their son, Akshay, 23, is a graduate in Environmental Management and Geography, and their daughter, Alka, 19, is studying towards her B Ed at Unisa. Away from property, Pranitha likes little more than spending time with her family, cooking and baking.